As a Catholic mother, I love telling my children the story of Our Lady of Guadalupe and St Juan Diego. I had lots of fun gathering ideas for crafts to help us celebrate these wonderful feast days. 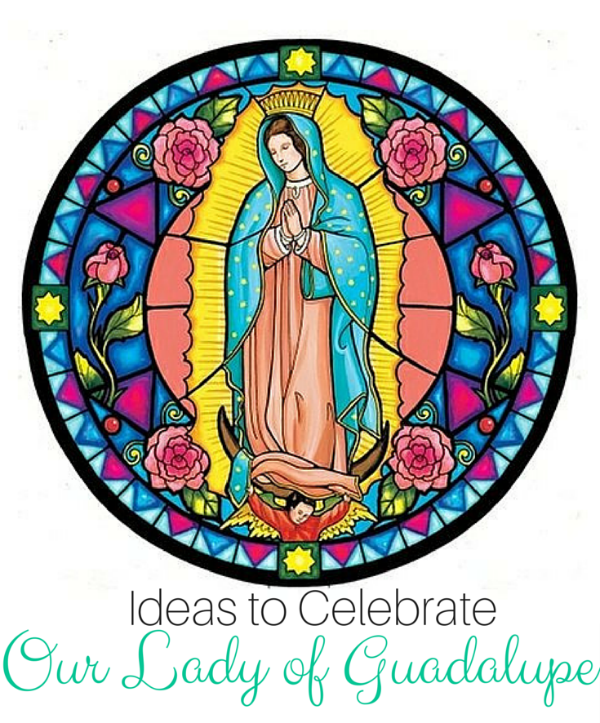 Ready to have some fun celebrating with crafts for Our Lady of Guadalupe and Saint Juan Diego? Follow the directions on Domestic Church to create a tilma (Indian cloak). 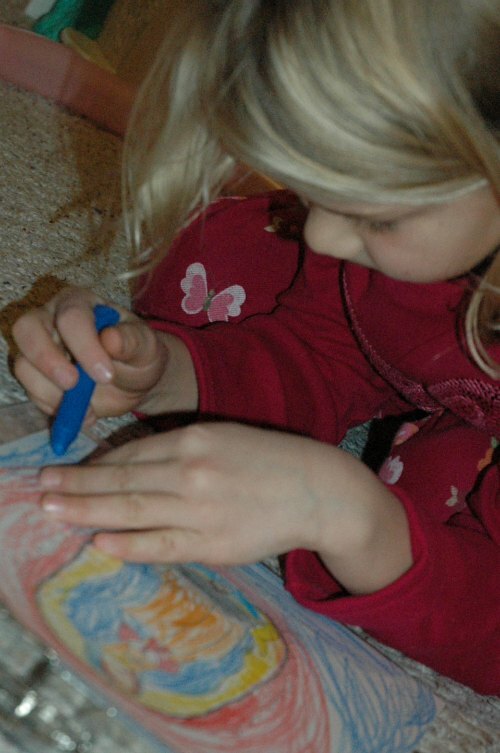 While you’re busy creating the fringed edge on the tilma, let your little ones work on coloring Our Lady of Guadalupe. My kids enjoyed watching Juan Diego: Messenger of Guadalupe while dinner and dessert was in the oven! 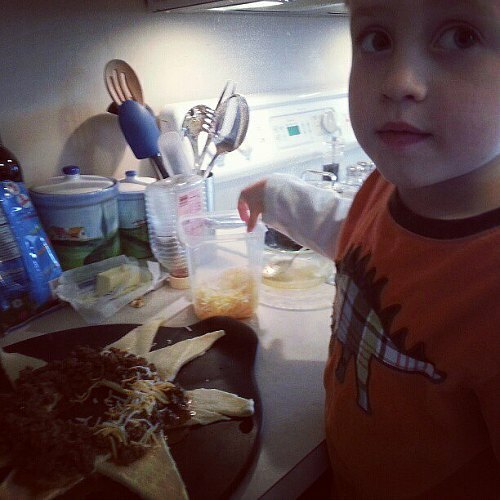 For dinner, we went with a family favorite – the Taco Ring! I discovered this on Pinterest and added our own twists. Many thanks to The Vanilla Tulip for the original idea. I followed the directions from the original recipe, but added in corn, black beans, and Rotel. We serve it up with salsa, sour cream and homemade guacamole. 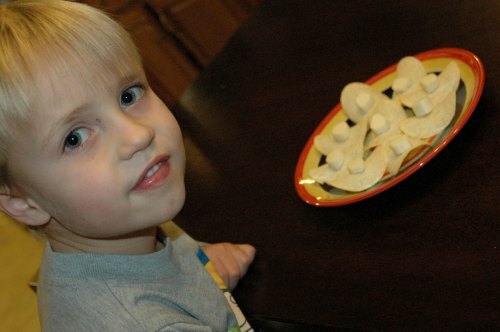 Arrange Pringles on a platter. Cut a small section of cheese from the end of the cheese stick and place it on the ‘sombrero’ Pringle. These are so cute, so easy, and fun to eat! 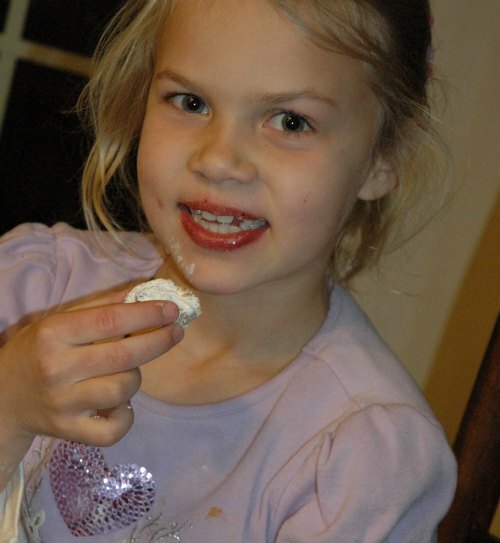 For dessert, we enjoyed some of my favorite cookies! 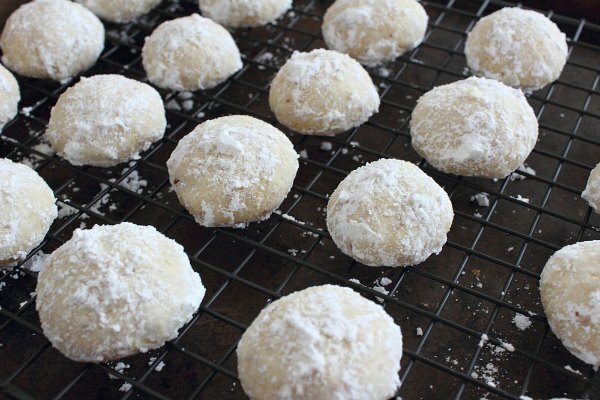 Mexican Wedding Cookies go by a million different names — Wedding Cakes, Pecan Wedding Cookies, or even Snowballs. My kids can’t get enough! After dinner and dessert, we enjoyed some stories together as a family. How will you be celebrating these feast days? Be sure and leave me your ideas! 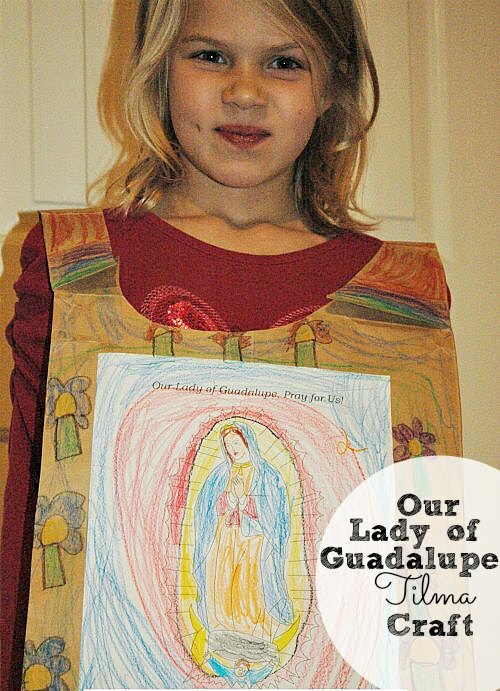 What a fun way to celebrate Our Lady and Juan Diego! I made these cookies to share at work, very good. I decorated with the cute little cupcake topper from Catholic Inspired.